Welcome to the Cobblestone Hotel & Suites in Newton, Illinois. Our beautiful hotel is conveniently located near everything that Newton, Illinois has to offer including Dynergy Newton Power Station. Our hotel provides easy access for traveling to and from routes 33 and 130. Located south of Interstate 70 and east of Interstate 57, our hotel is within 150 miles of both St. Louis, Missouri and Indianapolis, Indiana. In town for business? 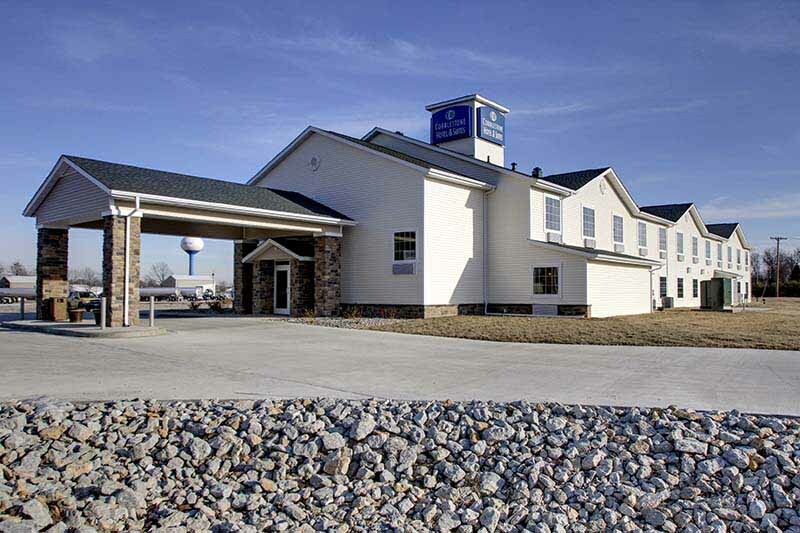 The Cobblestone Hotel & Suites of Newton, Illinois offers easy access to the Beverlin Oil Company, A-J Welding and Steel, Parrish Oil Production, Evapco, Dynergy Newton Power Station and much more! In town for some fun? Check out the Newton Lake State Fish and Wildlife Park, Prairie Ridge Interpretive Site, Sam Parr State Park, Jasper County Golf Club, Gabby Goat American Pub & Grill, Taqueria Don Pedro, Joe’s Italian Food & Pizza, The Freeze, and more.